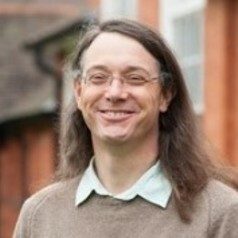 Dr Harris is an Associate Professor at the University of Reading who has been involved in education for nearly 30 years, and specialises in the practice of history teaching, action research, curriculum policy and development, diversity, citizenship, trainee teacher/teacher development and transgender issues. In recent years, Dr Harris was involved with the Pestalozzi Programme for education professionals of the Council of Europe and as part of the History Programme has worked on approaches to teaching history in a divided society through strengthening diverse, inclusive, democratic societies. Dr Harris's work looks to ensure this is reflected in education. "By challenging preconceptions and enabling students to think creatively about teaching from different perspectives and cultures this work ensures trainers, teachers and other educational actors are educated and supported in their role as professionals, given the culturally diverse environment they work in."